The past four months I’ve been doing a pretty share on oversea flights meaning flights that are very long. To be honest I am not a big fan of long flights, but unfortunately there is no way around it if you want to go to for example New York. 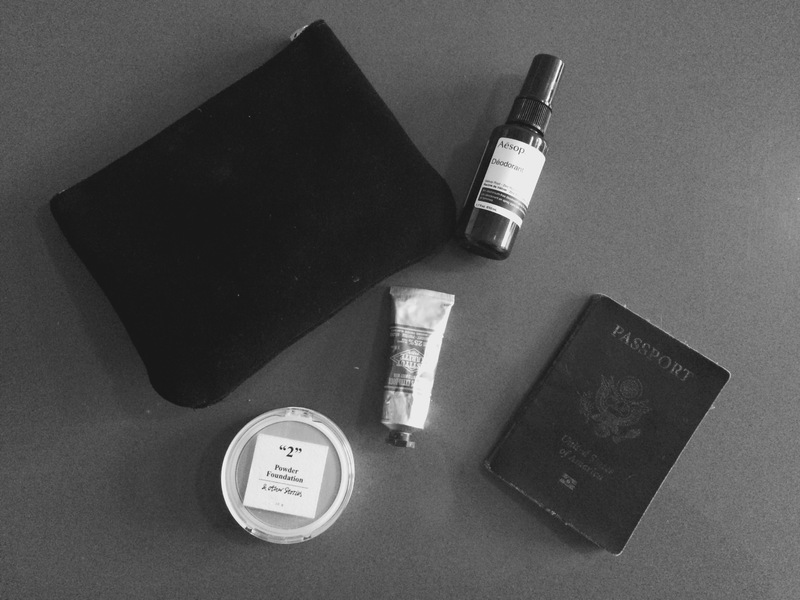 How to get through a long flight // Travel essentialsWear comfortable clothes. I am always cold and for some unknown reason planes are also always cold. Therefore I usually travel in yoga pants with fleece on the inside, a t-shirt and a sweater and an extra pair of socks. This way I can look ok fashionable and still feel comfortable. ♥ Don’t wear make up. If I ever wear make up on a long flight I only wear mascara. Your skin gets dirty and dehydrated on a plane and wearing a lot of make up will only make it worse. It is much better to put on a fresh face when you arrive than arriving with bad skin and old make up. ♥ Don’t bring too much in your carry-on. There is nothing worse than feeling like your arm is falling off because your bag is so heavy and you have to carry it from gate to gate, stand in lines with it – let’s face it, there is a lot of waiting and standing in line when flying, so I try to pack as little as possible and in that way I don’t have a lot of stuff to keep track of either. Passport and tickets. Gum so my ears won’t hurt. A tooth brush. A pair of extra socks if I get cold. A big scarf I can tug in if I get cold. Music and head phones. My computer. iPhone charger. A book (right now I am reading ”Not That Kind of Girl” by Lena Dunham. A magazine. A little make up pouch with deodorant, perfume, mascara, a face cream and foundation. ♥ Even though it might cost a little more, I think it is worth it to reserve a good seat while booking, if you have the possibility. That way you can get a little more legspace and not suffer inbetween two people you don’t know that will hate you every time you have to go to the bathroom. ♥ Pop a melatonin pill. They are all natural and they make you sleepy. Being able to sleep on a plane is great, it will take some hours from the long flight and it will make you feel less jetlagged. ♥ Invest in a neck pillow. I actually never tried one myself, but I definetly tried waking up from sleeping on a plane with a very hurting neck. I flew 8,5 hours from Berlin to New York yesterday and the trip went fine. My boyfriend (who had his first flight on coach) were lucky to get four seats to ourselves, so he survived a long flight on coach!